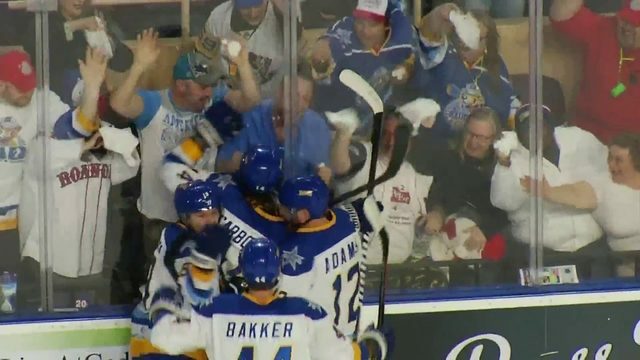 Mac Jansen scored two goals, Tanner Creel made 27 saves, and the Roanoke Rail Yard Dawgs dropped the Birmingham Bulls, 4-2, Thursday night at Berglund Center. The Dawgs struck first near the midway point of the opening period. Colin Murray fed Jansen for a one-timer from the left wing that hit the outside of the post but was eventually poked back toward the high slot. Ben Bauer sprinted forward and stepped into a slap shot that darted past the glove of Mavric Parks to make it 1-0 Roanoke. Birmingham countered early in the second when Austin Daae took a pass in front and slid a backhander under Creel's glove to tie it at one. The Dawgs took the lead back for good about two minutes later. Dillan Fox carried the puck below the net and swung wide to the left wing circle. He spun and shot one that snuck through Parks and the Dawgs took a 2-1 advantage. They waited less than a minute to add to that lead. Travis Armstrong controlled the puck on the right wing boards and fed Jansen for a one-timer in the slot. He banged it home to give the Dawgs a 3-1 lead. The Bulls tried to chip away at the lead later in the second when Josh Harris picked up a rebound below the goal line and banked a shot off Creel's back. It trickled into the net and the Roanoke lead was cut in half. Birmingham mounted further pressure in the third but Creel stopped all eight shots he faced to keep them off the board. The Dawgs earned an insurance marker on a Jansen empty-netter in the final minute of the game. Jansen had two goals and an assist and Armstrong dished out a pair of assists. Tanner Creel stopped 25 of 27 shots faced to earn the win in net. Roanoke snapped a three-game losing streak and a five-game home losing streak with the victory. 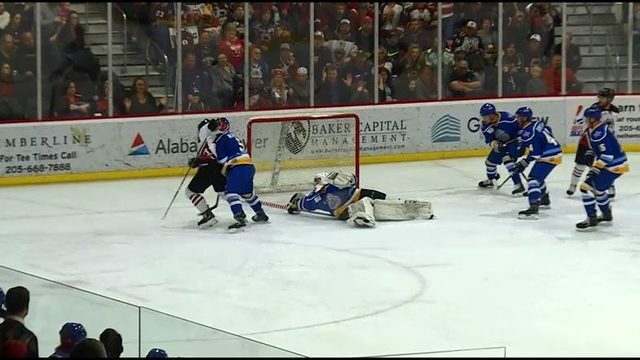 The Rail Yard Dawgs improved to 6-8-0, while the Bulls fell to 13-2-0. Roanoke will now head south to Georgia to take on the Macon Mayhem on Friday night. Puck drop is scheduled for 7:30 PM and the pregame show on the Haley Toyota Rail Yard Dawgs Hockey Network begins at 7:15 P.M.